The way we view state-sponsored cyber crime is often through the prism of dramatic novels and movies. It’s all very high tech and immensely clever stuff. Until today. Today is highly unusual from the perspective of online security. It’s the day we all pointed the finger and chuckled at some Russian cyber ops which appear to have come more out of the example of the Keystone Cops than the pages of a Tom Clancy novel. Far from the image of keyboard warriors in darkened operations centres, we have now heard tell of agents who, in setting up an operation in The Hague, left a trail which included taxi receipts from their military headquarters to the airport and sequentially numbered passports used to get into the country. It’s a far cry from the sophisticated deep web bogeymen we’ve been taught to expect. That’s not to say they don’t pose a real risk and part of the latest learnings do tell us that they are trying hard to break into important places like our infrastructure and the Foreign and Commonwealth Office, but it shines a light on the fact that their methods for doing this might often not be too far removed from the approach used by a “Nigerian Prince” with £32m he desperately wants to share with you! This does give us a moment of levity in a very serious subject. 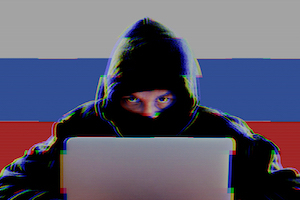 Sadly, there is a real threat and just because the Russians might not be using technology and techniques straight out of the spy novels, they are still trying to break electronically into our businesses and key organisations. Very often that will happen through social engineering techniques as much as through what is often referred to as ‘hacking’. Even individual, private PCs are useful to them to build powerful networks of slave machines they control, so sending a malicious file to an unsuspecting householder could be as useful to them as trying to use brute force on the Atomic Energy Authority’s firewall! Today the governments of the West have firmly pointed a finger at Russia and its security services, backed by a lot of gathered evidence. Cyber warfare remains a dark and scary topic, but just sometimes shining a bit of light on the reality gives this issue at least a touch of perspective.